Manx cats are native to the Isle of Man (a.k.a. Manx), located between England and Ireland. This breed looks like a cat but it's missing a tail! The shortened tail is a naturally occurring mutation (a manx gene) and there are a few different tail types and varieties. The Manx cat is not completely tailless. There are Rumpies, which have up to three vertebrae fused at the end of the spine to make a short tail. Rumpy Risers have a stump of up to five vertebrae, and then some Manx cats are known as Longies since they have a tail that's longer than the stump but shorter than the typical cat tail length. If the tail is too short it can effect the length of the spine (manx syndrome) and health complications can arise, like spina bifida and problems with the bowels, bladder, and digestion. 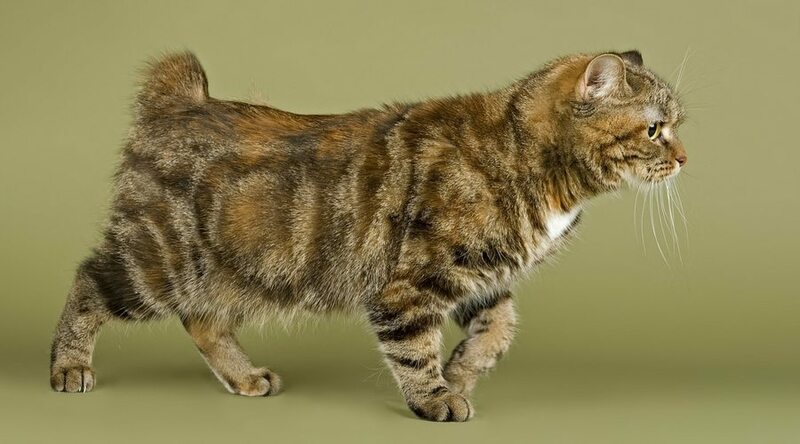 Two tailless Manxes bred together will lead to birth defects, which is why there are different types of Manx cat. The tailless Manx is a famous cat! And even found on postage stamps and featured on four commemorative coins in Britain. 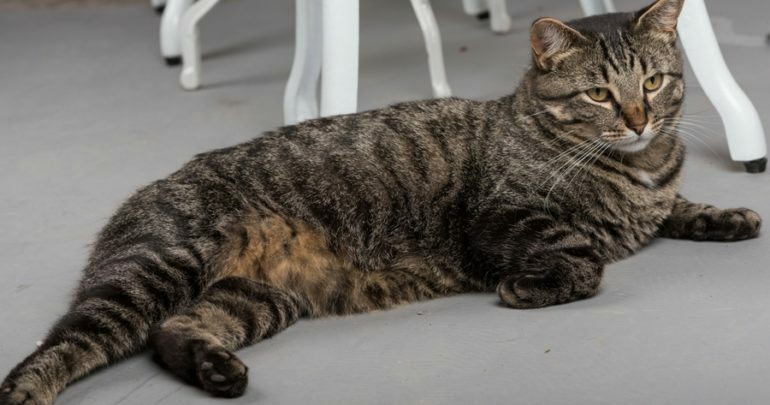 "Isle of Man resident Sara Goodwins, author of the book 'A De-tailed Account of Manx Cats,' notes that the first linguistic reference to tailless cats on the Isle of Man appears in the mid-18th Century." Manx cats have a round appearance and weigh 8-12 pounds. North America now has far more of this tailless cat than it's original birth place. There are two types of Manx coat lengths: shorthair and longhair (formerly Cymric). The shorthair's double coat (one of the few shorthair cats that have a double coat) is glossy and padded, while the long-haired Manx has a silky and plush double coat. Color and varieties include white, black, calico, brown spotted, silver tabby, and black tipped. They are best known for having a round head and the ears are wide at the base and taper to a rounded tip. It's important to know that the Manx’s lack of a tail isn’t always benign. There may be spinal defects that result in neurological signs such as problems. They are best known for having round contours, from his round head to his rounded rear end. The ears are wide at the base and taper to a rounded tip. The Manx coat is easy to groom and should be brushed once or twice a week to remove dead hair. Plan to brush more often during spring and fall seasons. They are the only cat breed without a tail! They are best known for their general roundness. He has a round head, round eyes, even a rounded rear end. Manx cats are intelligent and gentle. They are known for being dexterous and love the company of humans. They are known for carrying on a conversation! Manx cats have been known to act more like dogs than they do cats. They are very social with people and easily bond with other animals, including your dog! The Manx is a playful, happy cat that enjoys curling up in your lap, but it's important to socialize Manx kittens at an early age. They tend to follow you around! 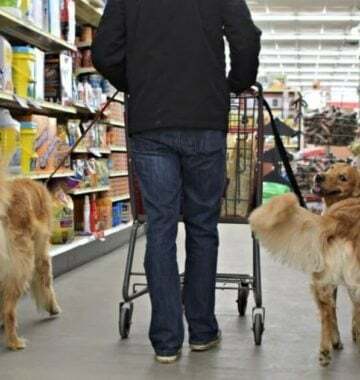 They can learn to walk on leash and enjoy riding in the car. This cat breed will accept boundaries but you may need to redirect his behavior with a fun game if there is unwanted behavior like jumping on the counter. How Did They Lose Their Tails? This spontaneous genetic mutation occurred many centuries ago. According to one story, the Manx cat taillessness was a result of a cross between a cat and a rabbit. There's even a myth that the Manx cat was attempting to board Noah's Ark when Noah closed the door on its tail...There's also a tale of a Spanish Armada ship wreck in the Irish Sea, and a tailless cat swam to the island of Man. The Cat Fanciers' Association (CFA) is a good place to find reputable Manx breeders and breeding programs. Or try to look for one in a shelter to adopt! You can also check the Fanciers Breeder Referral List, and The International Cat Association for more information. Make sure to research health problems before you talk to a breeder or visit a cat show and meet a few of these Manx cats before bringing one home! The cat population could use more Manx cats! Do you have a Manx? Show us their picture in the comments below. WATCH NOW: American Bobtail Cats Have Nubby Tails!